Some of the most vulnerable Australians living with dementia will benefit from a world-first national network of specialist care units, thanks to an annual $70 million Government investment. The program will see more than 30 specialist care units established to provide best practice, person-centred care for people with very severe behavioural and psychological symptoms of dementia, and who are currently unable to receive appropriate care in mainstream aged care services. The program has been developed through extensive consultation with dementia experts, clinicians, state and territory governments, dementia peak bodies and carers of people living with dementia. Council of the Ageing (COTA) Chief Executive Ian Yates welcomes the announcement. “Research has shown that the “severe behaviours” attributed to dementia are often actually the result of people with dementia being in preventable pain that can be alleviated. Another key cause can be the residential care environment when it is poorly designed for people with dementia, and if staff are not appropriately trained to provide an optimum care environment,” he says. “Over the last year, we have heard harrowing stories of people with dementia being physically and chemically restrained in aged care facilities, which is a complete degradation of basic human rights, and reflects poor training and standards of care. A tender process in early 2019 will select up to 15 units to be operational by early 2020, subject to evaluation outcomes, and the remaining sites will be selected in 2021. Leading Age Services Australia Chief Executive Officer Sean Rooney says it is important all aged care facilities are adequately funded and staff are trained to provide high-quality dementia care regardless of whether they have a dementia specific care unit. “The Australian Institute of Health and Welfare (AIHW) estimated in 2016 that up to 90% of residents in high care may have some form of cognitive impairment," he says. 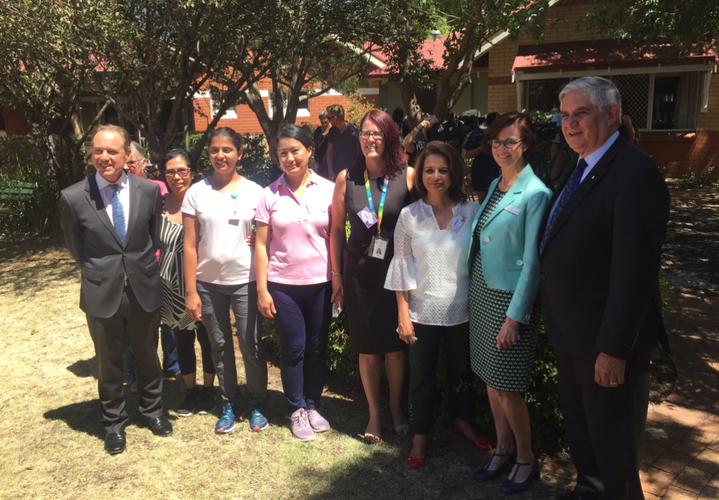 The Specialist Dementia Care Program will operate as the ‘third level’ of Australian Government programs to assist people with dementia, complementing the existing Dementia Behaviour Management Advisory Service (DBMAS) and Severe Behaviour Response Teams.